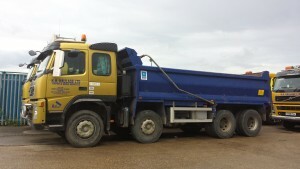 K.H.Haulage Ltd provides Tipper and Grab services to the haulage industry. We specialise in removing muckaway and waste from construction sites and supplying virgin and recycled aggregates. The business started started in 2007 although the Director has been involved in the haulage industry for over 25 years. If I am honest initially we were reluctant to join and thought it is just another scheme where we will be burdened with more requirements and cost. We joined as a member because some of the companies we were sub-contracting for started asking us regarding FORS. We attended a FORS workshop and a few people shared their experiences, it seemed quite positive therefore we started exploring a bit more, at the same time the business was also growing. After analysing the situation and some study we changed our mindset completely. We decided if we want to play a positive role in this industry and grow the business we need to learn and improve ourselves. 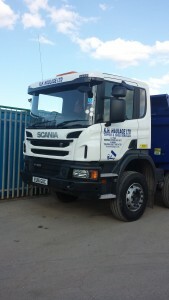 We therefore decided to apply to become a FORS member. The process was quite challenging initially, as we started documenting everything, created files for each vehicle and driver, investigated all issues etc. We went through the FORS membership requirements and started addressing weak areas and put policies and procedures in place where required. It was communicated to all in the business that we have started on a journey. We utilised the FORS benefits by taking advantage of the free training courses provided for drivers this was really beneficial as the company gained individuals who were better trained and aware of potential issues, the drivers benefitted from FREE training, became better equipped to do the job and saved money. Advantage was also taken of the discounts available as FORS members e.g the reduced rates negotiated for FORS members for license checking with advanced check part of the GB group. The result was the company successfully obtained bronze membership in June 2013. The next stage was to further this journey and improve the Business operation by using various tools and techniques. Energy was focused on improving fuel consumption and safety by monitoring and educating drivers on defensive and green driving. We have reduced our fuel consumption as well as reducing the mileage the vehicles have travelled. The efficiency has also improved by improving miles per gallon used. The new smart witness cameras were installed on all vehicles and footage can be viewed remotely, therefore an incident or issue can be addressed immediately and dealt with appropriately. This year we have taken advantage of the new training FORS are providing operators. Myself and another member of the office staff have attended the newly designed Managing your operator license awareness course, which was a good learning/sharing experience. We have recently invested in 2 new Euro VI vehicles and we are investing to improve our fleet, further improve our fuel efficiency and minimise our impact on the environment. A trial was carried out on the new 4 way camera systems with sensors etc, which we found beneficial and will help any accident investigations/claims and bring down insurance premiums. We have bought the first new system and this is installed on the vehicle. The plan is to implement this on all vehicles as we replace the fleet with more modern vehicles. The result of travelling on this journey is FORS has helped us achieve compliance and improve safety. It has also resulted in saving valuable financial resources by improving fuel consumption, tyre wear and driver training, the result of which is clearly demonstrated by investing these resources in new technology and vehicles to further improve safety, compliance and put the business on a strong footing for the future. To conclude the company achieved Silver accreditation in June 2015 and we are proud of what has been achieved so far with the help of FORS however we do understand that we need to keep travelling on this journey of continuous improvement and want to obtain Gold accreditation. The reason being this will enable us to continue demonstrating our commitment to compliance, driver training, reducing the environmental impact and helping promote a better image for the industry. Achieving Gold also recognises the hard work our staff has put in along this journey along with the investment and step change the company has made in its way of working. The achievement will also provide greater trust to our customers.